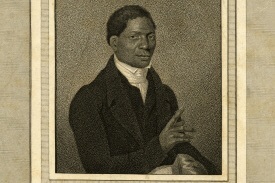 This is John Gloucester ((1776-1822). We have not yet found a picture of William Thomas Catto. The main picture is the First African Presbyterian Church in Philadelphia, PA, c. 1890.